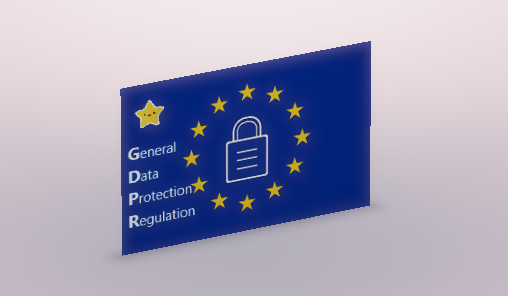 On the 25th of May 2018 will come into force a new European regulatory act, called the “General Data Protection Regulation” (abbreviated GDPR). This is new EU regulation on the protection of personal data and is applicable to any entity that collects and processes personal data of EU residents. In the era of digitization, almost every company collects and processes customer data for the purpose of improving its services and optimizing its marketing campaigns. Therefore, as a provider of email marketing, NewsMan recommends you to align with the GDPR requirements to create a trustworthy climate for your customers and protect your business, thus avoiding unnecessary huge fines. GDPR is not subject to statistics, studies or marketing research that are about providing anonymous information, without any reference to the individual’s data and nothing that leads to his/her identification. Giving explicit and comprehensible consent is one of the key elements of the GDPR. The only exception when lack of consent is accepted, is when the data processing is performed for an anti-fraud action. Another important aspect promoted by GDPR is the obligation to designate a Data Protection Officer for processing information that involves the monitoring of a large number of individuals or the processing of sensitive data. Data operators are required to keep a log of incidents in which data safety and integrity could have been compromised. There are also some situations where they have an obligation to report incidents to authorities and consumers within 72 hours. In principle, it is forbidden to process data that reveals genetic or biometric information or about health, sexual orientation, race or ethnicity, political opinion, religion, or philosophical beliefs. GDPR lists a number of exceptional cases where this is possible, with certain precautions to consider. NewsMan recommends you to create your own internal policy for processing customers’ personal data that complies with the GDPR guidelines, and then inform them accordingly about these updates.